Beginner-level anglers, as well as experienced ones, enjoy fishing, but they hesitate when it comes to choosing a spinning reel. I was also in their shoes. I wanted the perfect casting not knowing which reel gives it to me. On the market, there are dozens of manufacturers and hundreds of reel series. Each series often includes several models. Therefore, the number of options grows every year. 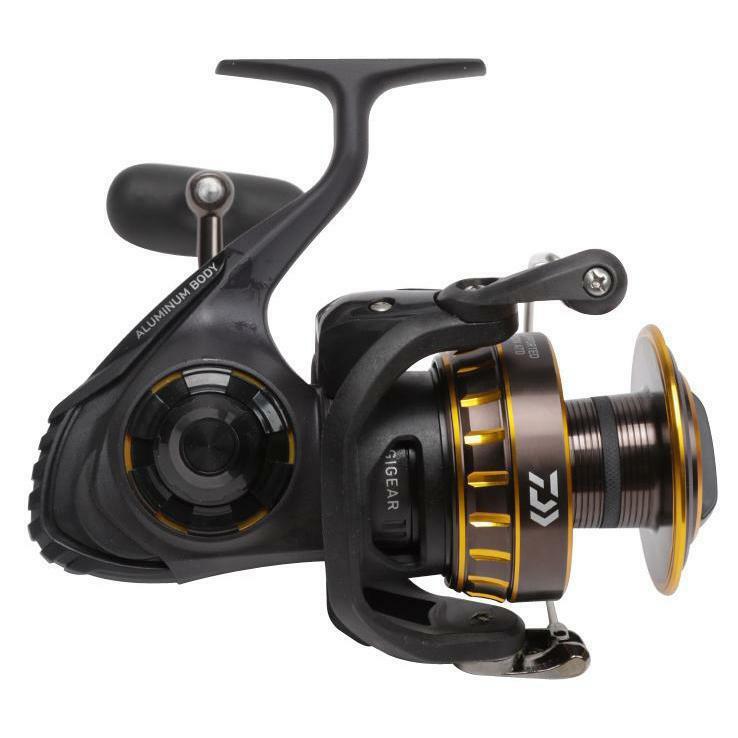 How to choose the best spinning reel among the entire range and what to look for in the ideal one? To avoid common mistakes, you may use my professional advice. I know the quality of spinning reels very well because I have used them for two decades. I can distinguish high-quality models from poor-quality ones. My personal experience and knowledge that I have shared will help you make the right choice. Shimano is a Japanese manufacturer with almost 100 years of history. The company produces one of the best reels worldwide. They are not cheap due to premium-quality materials and innovative design. 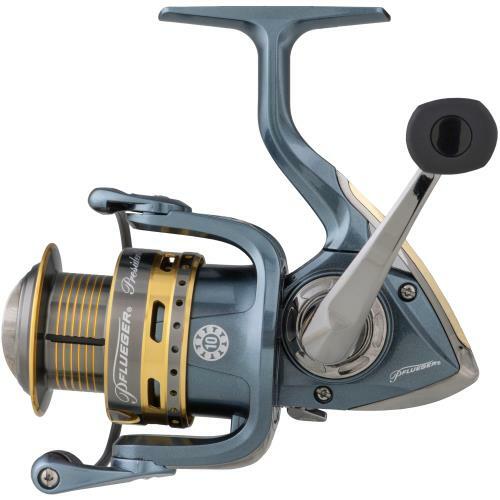 Shimano Stradic Ci4 is an open-face reel that offers buttery smooth casting and retrieving. The Ci4 series includes four models with different line capacity. For inland or bay fishing, you need less, for offshore fishing more. The drag is a powerful, 20lb, which is enough to handle fish with medium size and weight. Thanks to the high gear ratio, the spoon spins quickly. After landing a fish from deep water, your hands will not be overworked. Ideal for: Freshwater spinning, Saltwater spinning. Recommended species: Largemouth, redfish (perch), trout, snook, and juvenile tarpon. The Shimano Stradic Ci4 weighs less than other egg beaters under 250$. It is only 5.6 oz. The Ci4 has new Magnumlite Rotor that facilitates every rotation of the handle. This portable and beginner-friendly model is ideal for children, teenagers and people with joint issues. Experienced fishermen, including me, appreciate the Ci4 for its durability and silky smooth cast. It is not easy to use this reel with braid. If you, like me, want to try, then you need to give the braid something to bite. For example, you may place a strip of electrical tape around the default spoon or buy a special spool. Keep the braid tight on the reel. Abu Garcia was originally a Swedish brand that has been producing reels since the Second World War. Now it is owned by Pure Fishing company from the USA, one of the market leaders and an example of high-quality standards. 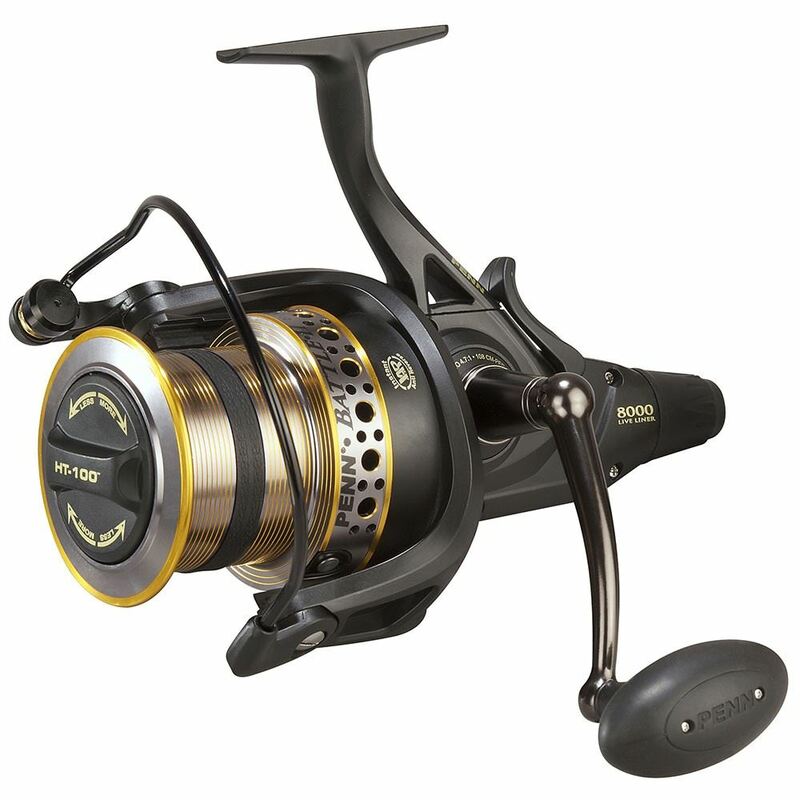 The Revo SX series includes four models with different maximum drag and line capacity. Every model is equipped with a powerful carbon drag system and an aluminum spool. The spool is both rigid and lightweight. Above all else, the Revo SX offers impressive ball bearing system. Its nine (8+1) bearings made from stainless steel make casting and cranking a breeze. Other models with the same price usually offer fewer bearings. After several seasons of use, their bearing system cannot adequately reduce micromotions. Then the line starts to vibrate, which makes fishing less effective. With Revo SX 9 bearings, this problem will not pop out. The reel comes without a spare spool. If you use mono, you need to buy another for the braid. Compared to other models the SX is considerably heavy. Professional fishermen appreciate Pflueger reels for its design. The Supreme XT series includes four models with various line capacities, gear ratios, and retrieve rates. With such a variety, the Pflueger TX is the best reel for multi-species fishing. It is compatible with all types of baits and lures and especially good for small and medium. 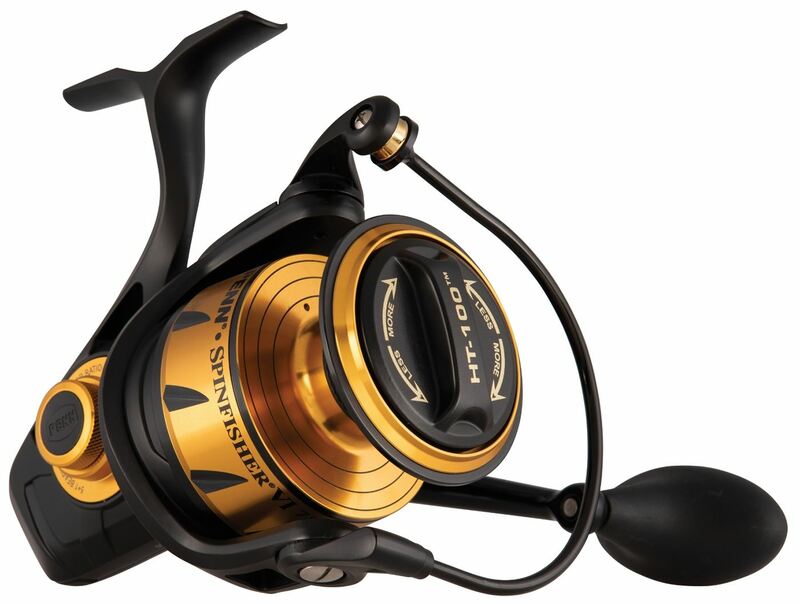 This reel is equipped with a powerful drag system that can handle a running furious fish. The body is Thanks to 9+1 ball bearing the operation is smooth even under the pressure. The spoon is braid-ready which means that the braid can be tired directly to the spoon without mono backing. 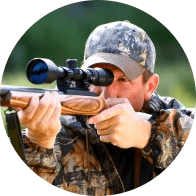 Easy-to-use features include a lightweight handle from carbon and smart retrieve system. All mechanics is metal and well lubricated, which saves your time for maintenance. What I like most about Pflueger TX is the drag system. It remains lubricated even after a long time of use. The retrieve is flawless and effortlessly smooth. Compared to models with the same price, the Pfluger TX offers the best mechanic. Anglers sometimes complain about two flaws of this reel. The first is that braid often gets caught in bail assembly because of the narrow gap. The second is an annoying line twist. They say that it happens even if the reel was properly spooled. Instead of fishing, they spend the time to fix the tangled line. Honestly, I believe these stories, because the construction of the bail (line guider) is not perfect. However, I had never face such problems because I spool my reel very carefully. I would not recommend this model for the windy weather, the wind will tangle the line. In other cases, it is a great choice. By the way, the ball bearings are not sealed. If you plan to use the Pflueger TX for marine fishing, maintenance will take longer. Clean, dry and re-lubricate the reel after every session, otherwise it will not live long. The Shimano Stradic is a series of five models. Three of them called HG (Hagane). 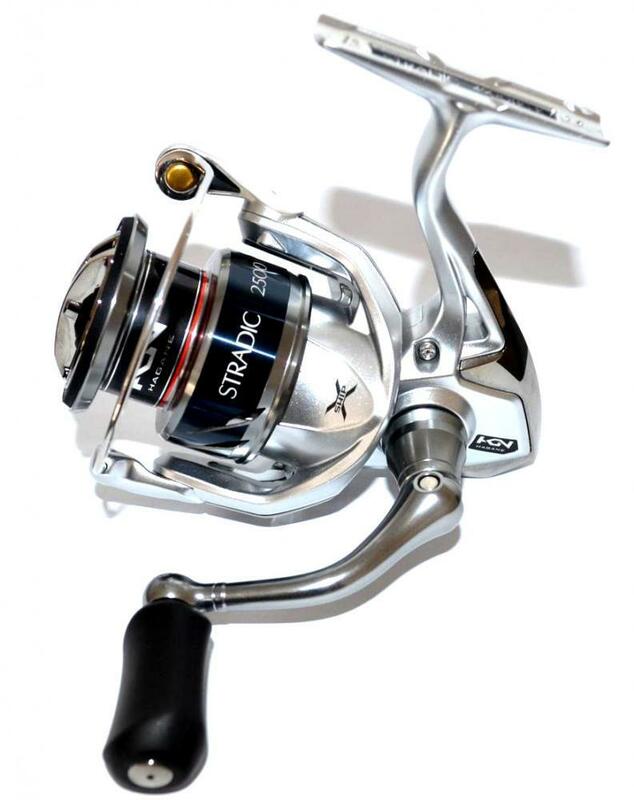 The Stradic HG reels offer different line capacities, gear ratios, and max drag. You can choose a model according to your fishing style and target fish species. All spinning reels are equipped with 6+1 ball bearings for silky smooth casting. Inner parts are made from durable and rust-resistant metal. The spool is cold forged aluminum, rigid and lightweight. Even with harsh use, the reel life is long. I like two benefits of the HG Stradic. The first is a precise line laying. Smart line guidance and retrieve system is an excellent feature for seasoned anglers, especially for those who go fishing in the winter. The second advantage is its perfect balance, which reduces hands fatigue. Even after long hours of casting and retrieving, your hands, neck, and back will not grow tired. Anglers often use Stradic TG for saltwater fishing. They catch a lot of bottom species like flounder, trigger fish, cobia, steelhead, stingray, and cownose ray. However, reels don’t live long. Even with regular lubrication, it starts clicking. The TG is not a versatile model. I recommend it for species with medium size and weight. The drag system is not powerful enough to handle bluefish or striped bass. For the trophies heavier than 32lb, you should better use a baitcaster. The mechanics of President is exceptionally durable and suitable for both summer and winter fishing. The reel is sealed, well-lubricated and easy to maintain. I highly recommend it for ice-fishermen. The model offers an excellent price-quality ratio and lasts for many years even in a tough environment. 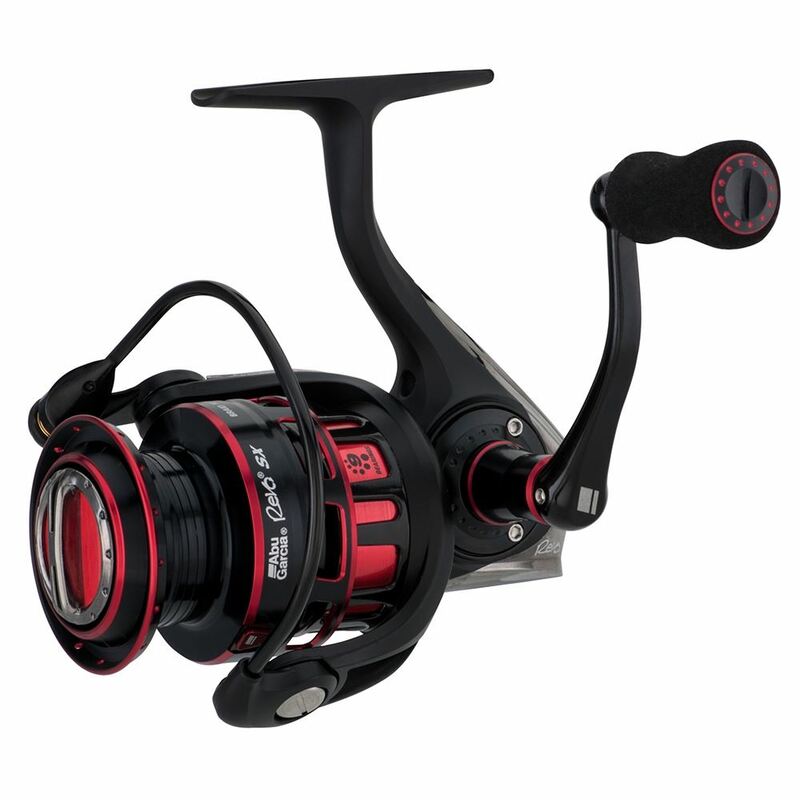 The reel is equipped with 9+1 stainless steel ball bearings for the smooth casting. Oscillation gearing controls the line lay, erases line twists and wrinkles. The internals is metal, no plastic parts. The body and rotor made from graphite. Most of all I like the heavy-duty, solid bail wire. It has the string assisted click open and click close. The bail system is designed with anglers’ needs in mind. The spool arbor is braid-ready, which means it is easy-to-load with any type of line. Reel feels great in hands. The handle has an ergonomic curve and creates a perpendicular alignment of the knob with the spool. This construction excellent transfer the rotational force. Drawbacks The spinning reel is pretty heavy. People with weak back or joints better choose more light models. Penn produces durable and not expensive reels. This brand is loved both by beginners and experienced anglers. The first appreciate smooth operation without line twists and tangles. The second like durability and long lifespan. The reel can withstand harsh use. The Penn Spinfisher V series includes only two models. They differ in line capacities and drag so you can choose according to your casting style and target fish. The gear ratio allows stopping large species like catfish. The reel comes pre-spooled and fully assembled, except the handle. Before fishing, just screw the handle to the plate. The Spinfisher V has the perfect design for fishing in the saltwater. With its line capacity, you are able to make long-distance casts. This is a precious opportunity for inshore fishermen. The model has a close-faced body, which protects internal parts. The spinning reel is approved for the saltwater with IPX5 rating and has a water-tight design. All mechanics are corrosion-resistant and sealed. In particular, the stainless steel 5+1 ball bearings are shielded. The reel is rather heavy for its size. There are no spare spool in the box, so if you want to use both mono and braid, you have to buy an extra spool. I hear that some anglers complain about gear clicking under the load. I think that the reason is poor maintenance. I always clean my reel properly and do not experience such problems. The Revo S series by Aby Garcia includes four models. They have different specs, including line capacity and gear ratio. The series is versatile for different fishing styles and great for multi-species hunting. The drag system obtains hard-pulling furious fish. The Revo S is equipped with everything you need from a spinning reel. The body is carbon, and it maintains ideal gear alignment even under pressure. The slow oscillation evens the line, while the Rocket Spoon Lip holds its rate. The spool is machine-made aluminum and braid-ready. If you prefer braid, you can tire it directly and use without slippage. The key feature of the Revo S is a precise casting. Thanks to the tackle engineers, every cast comes directly to the aim. This increase fishing effectiveness and you can catch more trophies. In addition, I like the easy winding. The spool is straight and flat. There are no bumps, hills, and lumps in the spoon after retrieved. The knobs are made from PVC. This material is durable enough for everyday fishing, but it is not ideal for harsh use. Daiwa is a reliable brand, known by high-quality materials and reel design. Daiwa has modern automatized manufacturing, that’s why it offers attractive prices. The Daiwa BG spinning reel is a series of 10 models with different specs. You can choose line capacity, gear ratio or weight of the reel according to your preferences. The Daiwa BG mechanic features are usually can be found in pricier reels. The manufacturer reduces reels weight to make it more portable. The Air Rotor weighs up to 15% less than standard. The body and its covers are made from machine-made aluminum. It is lightweight, rigid, and durable metal. Resistance to scratch and corrosion makes the reel suitable for aggressive freshwater species, that splash the water onto the body. Avid fishermen appreciate Daiwa BG for solid construction, even the handle is built-in. Beginners love the design and adjustable features, for example, spool washers. If you put these parts under the spoon, you can regulate its height. If the line lays too much on the top of the spoon, you can add one or two washers and they will even out the laying. The model has not enough protection for regular marine fishing. Many anglers, who try it for saltwater were absolutely happy in the first place. After several sessions, the performance got worse, and then the mechanics start creaking. Even with cleaning and lubricating this noise do not fully disappear. In the freshwater conditions, the reel serves as a workhorse for more than 5 years. The Penn Battle II is a killer machine for furious species that can pull the reel from your hands. In this series, you may find eight models with a wide variety of specs. There are two impressive things about design. The first is a braid-ready spool, which is filled with a rubber gasket. The braid does not slip and lays evenly. The second feature worth your attention is a powerful carbon fiber drag system with anti-reverse. It does not allow the handle to rotate backwards when you fight with a fish. When the fish pulls too hard, the drag let line comes out the reel and keeps it from breaking. The Penn Battle II is the best spinning reel for catching large or long-running fish. I hear several complaints about poor reel balance but never feel inconvenience. In my opinion, the balance is great, my cast is precise, and my hands don’t overwork. Another flaw that was noticed by beginners is backlashes. Honestly, I think that this is caused by lack of experience and not by the reel design. This is the last model from my top pick list, but not the least by its advantages. The Penn Slammer III series contains more models than the others. It includes 10 models so every angler can choose line capacity or other specs for its fishing style. The Slammer III is widely popular because of its feature-rich design. In particular, a sealed body and spoon with an IPX6 rating; all-metal mechanics protected from corrosion; sealed powerful drag system, and more. This is a go-to option for saltwater fishing. No matter how big your target fish, is the reel can handle it as it can handle all sizes.. The Penn Slammer III offers features that are highly appreciated by avid anglers, including myself. This reel never fails. Thanks to 7+1 stainless steel ball bearings and line guide system, every cast is smooth and precise. This is a heavy-duty model with high-line capacity. As typical for these qualities, the spinning reel is heavy. If you have a weak back and want to do long-hour sessions, especially offshore, try something lighter. The back fatigue can turn into pain suddenly. In this case, it will not be a pleasant experience. The model is loaded with features, and its mechanics may be confusing for total beginners. If you are just starting up, do not forget to read the user manual before maintenance. Otherwise, you may unintentionally mistreat something. In the buying guide below, I describe all the essential features that you should consider before purchase. They influence the overall performance of your reel. Every feature comes with a complete description. After reading this article, you will be able to make your decision with a clear mind. When and how to use a spinning reel? The best spinning reels are so easy-to-use that even children can cast without backlashes or tangled line. This is the go-to option for total beginners. Unlike baitcasters, spinning reels allows you to cast with light lures and baits. Modern design makes spinning reels suitable for any fishing technique. However, they are perfect for fishing with light lures and baits, for example, for drop shotting. In general, you can use any reel for the saltwater environment, if you will clean it with fresh water after every session. Also, for prolonging the lifespan you should regularly oil the mechanics. Otherwise, clicking and creaking are inevitable. This maintenance isn’t easy, and the life of the reel will not be very long. The wiser decision is to use specify reel for saltwater, and another for freshwater. I have both types, they serve me perfect with minimum maintenance. In the top pick list above, I specify the conditions and reaction on salt water for every model. For massive fish, you need a stronger line with a powerful drag. Below is a table with the large saltwater fish and the suitable line strength for each one. If you prefer freshwater, you may use this table. If your target fish is heavier than 8 lb., I recommend the Penn Battle II. This model has all the equipment required for conquering both saltwater and freshwater monsters. This reel is specified for large species, and you can use it for small fish like walleye. However, this price is overkill and it costs extra money for the features that you will probably not use that often. Medium-sized and small fish that weigh less than 6 lb. are easier to handle. You will most likely be able to land them with any reel from the top pick list. If a fish makes long runs or lives near the bottom of a deep lake, you will need more line to catch it. Reels that can hold more line is more convenient because you don’t have to wind it every several sessions. Unfortunately, they are heavier. You should consider what is more important to you- line capacity or weight, and make your choice based on that preference. In my opinion, the Penn Spinfisher V Spinning Reel offers the best line capacity that allows long casts. The main differences between them are the diameter, line capacity, and durability. If you want to use mono and fluoro, you shouldn’t have any problems. Every spinning reel is compatible with these types. If you prefer braid, I recommend choosing braid-ready spools. Their design allows you to tie braid directly to the spool. The line will lay evenly, and you don’t need to use mono as a backing. For each line type, you need a spool. The Penn Spinfisher V and Abu Garcia Revo SX come without a spare spool, so you will have to buy it as well. The mechanic inner parts seem complicated for beginners. However, there is nothing difficult to understand the basics. Let’s look at what is inside your reel. The gear system is a mechanism that multiplies your speed and force. When you rotate the handle once, the gear turn 1 to several spool spins. For example, if your reel has 4.2:1 GR this means that every handle rotation gives you 4.2 spool rotation. Choose the higher GR, if you want the spool to spin fast. For slow landing, choose lower GR. Ball bearings make casting smoother. They reduce vibration and prevent annoying noise. Every model from my list has metal ball bearings. Metal more durable than plastic. 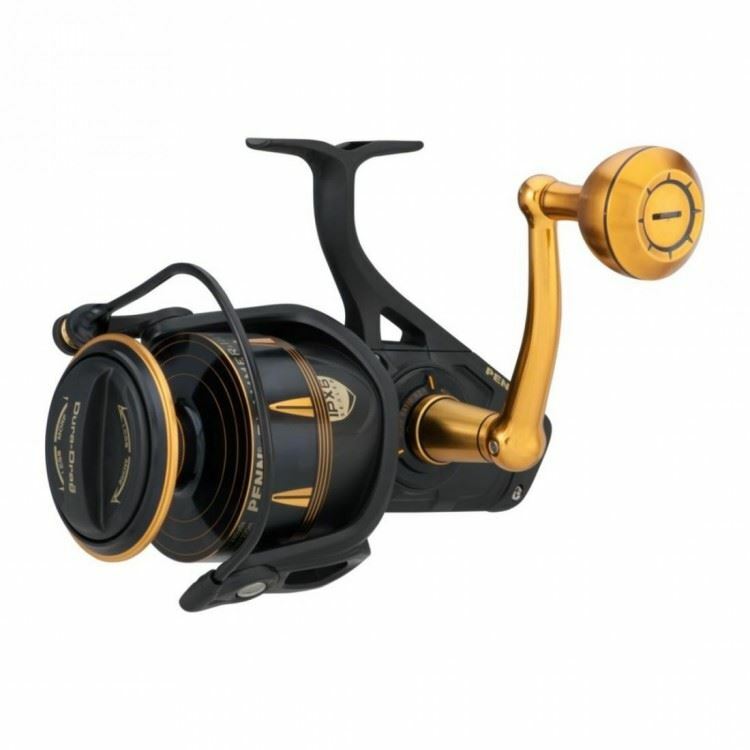 The best spinning reels are Pflueger President Pflueger Supreme XT, they are equipped with 9+1 bearings. 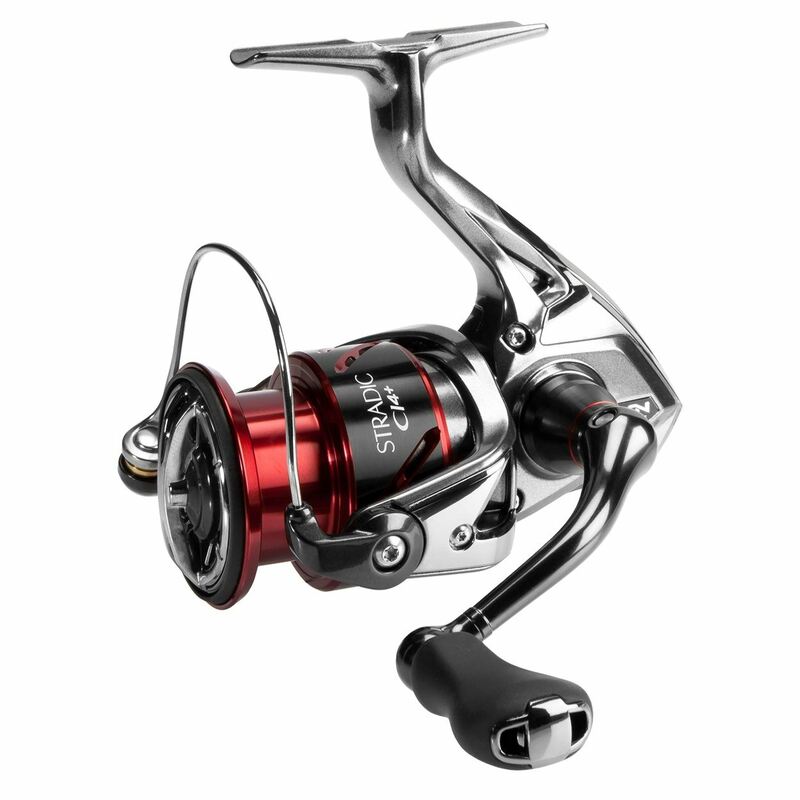 For marine fishing, choose specialty reels with shielded ball bearings like the Penn Spinfisher V. They last longer. Maximum drag pressure indicates how heavy fish the system can handle. When the fish pulls too hard, the drag allows a small amount of lines to come from the reel. Drag should perform smooth, not in a start-and-stop fashion. For a spinning reel, the optimal DR is 10-20lb because other parts of the construction is not that sturdy. High-quality models are equipped with a rigid machine-made aluminum frame, they give you 40-50lb DR. With this power, you can easily land monster trout or catfish. Adjustable drag is the best option. It allows you to switch between different DR according to target species. It also can rotate the spool without handle turning. The best drag system has Pflueger Supreme XT. Every part of the reel construction means a lot if your fishing session lasts for several hours. 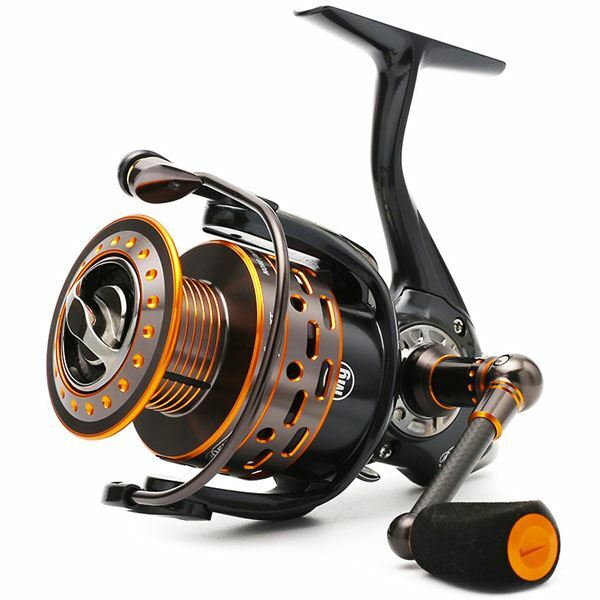 Moreover, the reel design influences its performance and durability. 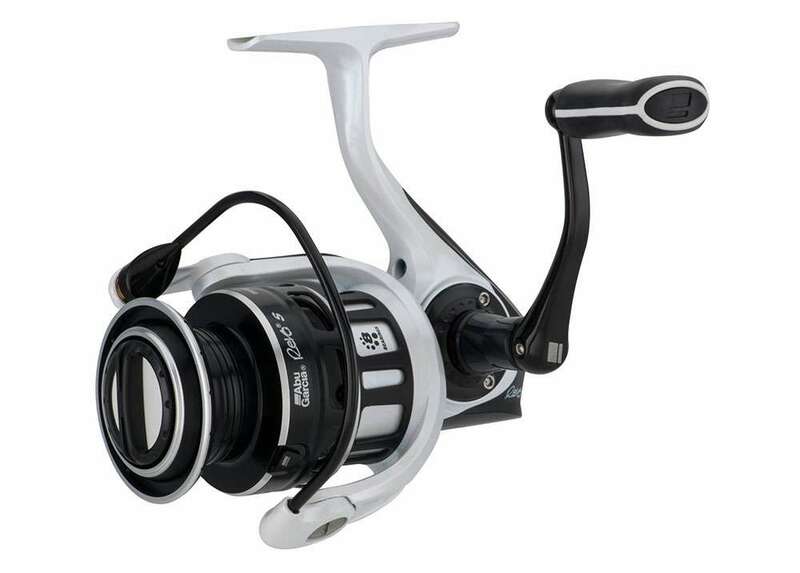 Best spinning reels with all-metal parts and high-line capacity weights above 30lb. For some people this is heavy. The day after fishing sessions, they suffer from the low back and neck pain. If you want to protect your back, choose light reels like the Shimano Stradic Ci4. It is small, portable and ideal for elders, kids and teenagers, and people with back issues. For large marine species, you need a heavier and bigger reel. If this is your aim, then the Penn Slammer III Spinning will be the right choice. High-quality models are equipped with an all-metal body that feels great in hands. The rotor, side plates, and foot also should be metal. Often the primary material is machine-made aluminum because this metal is both rigid and lightweight. The recommended spool material is metal like aluminum. For beginners, I recommend using an oscillating spool. It makes spooling easier. The oscillating system reduces line wrinkles and helps it to lay evenly. If your line concentrates on the spool top, use spool washers to spread it right. I think that the best spool both for avid anglers and beginners has the Daiwa BG Spinning Reel because it has all the features that I mentioned above. The handle is a weak spot of the reel. It should be metal, hard and comfortable for the hand. All models from top picks are equipped with high-quality handles, otherwise, I would not recommend them. The Pflueger President offers the best handle design which is both ergonomic and sturdy. Most of the avid anglers, including me, consider the anti-reverse switch unnecessary in a spinning reel. Anti-Revers prevents the reel from turning backward and keeps the drag from engagement. This feature may be useful if you are a beginner or if you are catching small fish like smallmouth and enjoy “back-reeling.” In other cases, especially with large marine species, you don’t need the switch. The bail guides the lines, it gives the line limited space to come out the reel and return. When disengaged, as it would be for casting, the bail releases the line from the spool. When engaged, it prevents line unwinding from the spool. Due to its function, the bail should be metal and sturdy. The best bail design in the list has the Pflueger President. Considering all the features, especially the performance, the best spinning reel is the Shimano Stradic Ci4. The marvelous quality comes with a price. If your budget is limited, I recommend the Penn Slammer III Spinning, which I loved for its durability and convenience.